BMW goes turbo | What Car? 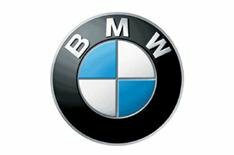 Every BMW engine petrol and diesel will soon be turbocharged as the company seeks to expand its Efficient Dynamics package of fuel-saving, CO2-cutting measures. BMW already fits an engine stop-start system to all its four-cylinder manual-transmission cars and uses braking energy to recharge the battery in every model it makes. Dr Stephan Neugebauer, the head of Efficient Dynamics, hopes BMW will soon be able to fit stop-start to cars with automatic transmission and engines of more than four cylinders. This would significantly reduce the CO2 and fuel consumption of the models it sells outside western Europe. 'We have to do some things with the transmission and the climate control so that the car will drive away smoothly and the interior will remain cool when you are stopped in traffic. Comfort is very important to the owners of such cars,' said Neugebauer. Another BMW insider hinted that autos with stop-start could be on sale in only two years. Longer-term, Neugebauer believes further savings could be made by recycling thermal energy in the exhaust gases. He is working on two ideas: a 'turbo steamer' that uses the exhaust temperature to produce mechanical energy, and a way of harnessing heat in the gases to create electrical energy. 'The benefits would not be reflected in the EU fuel tests because they are conducted at slow speeds, but the system would work in the real world,' he said.